We all know I've had my fair share of weddings over the past year! But it’s time for brides-to-be to relax and have some fun - as The Manchester Bridal Show is set to arrive at Corn Exchange to help handle all those wedding planning details. Exhibitors include everything a girl could want – from amazing wedding dress designers to beautiful venue ideas and hen party options. Plus, plenty for those wanting a unique touch – with exhibitors such as Glacial Art Sculptors on display. 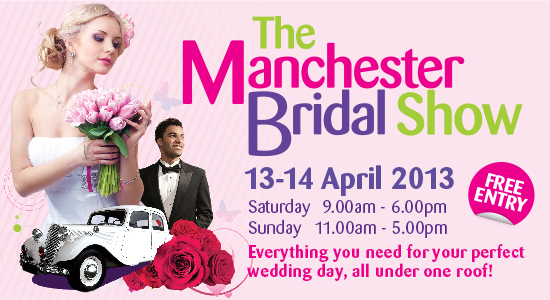 On both the Saturday and Sunday there will be great live entertainment, catwalk shows plus a goody bag for brides-to-be. What’s more, Salvi’s Deli will have a pop-up prosecco bar on the lower ground floor and Pizza Express are offering 20% off your food bill when you quote ‘Wedding Show’ on that weekend. If you fancy a lovely day out with the hubby to be, the bridesmaids or mother of the bride then head down to the Corn Exchange this weekend!